Most of us would welcome some extra room at home. This is why more and more people are turning their sheds, garages or outbuildings into usable space. Which? Trusted trader Andy Wallis, from Redwood Electrical Services, has seen customers use former garages or sheds in a variety of ways, from keeping large tanks of turtles to a den for teens. 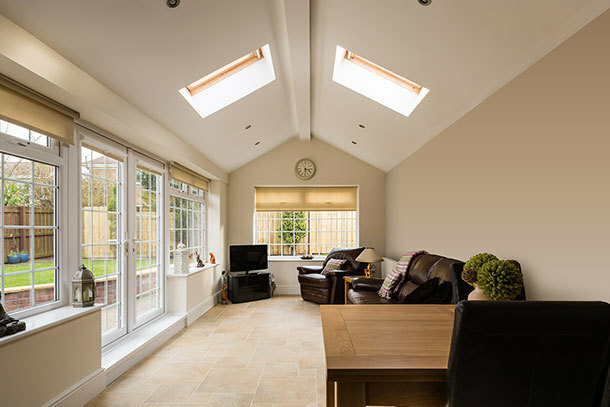 So how do you go about transforming your outbuilding into the perfect extra space? Step one has to be ensuring that your building is suitably weather-resistant, and large enough to be functional. A wooden shed works fine as a garden room, but it must have sufficient protection from the elements, including a watertight roof, if you’re going to install electrical sockets and switches. Find a Which? Trusted Traders-endorsed electrician or plumber to sort out the services in your shed. Read on for more about installing utilities. Redwood Electrical Services’ Andy Wallis says: ‘The most important element to any electrical installation is making sure it’s safe.’ All electrical installations have to comply with British Safety standards. Ensure you employ an electrician who is a member of a recognised body such as NICEIC, Napit and Elecsa for example, all of which certify electricians as competent. You can find a suitably qualified electrician with Which? Trusted Traders. Tell your electrician early on how you plan to use the space, so they can install the right number of sockets and light fittings, with the correct cabling. A good electrician will ask you before starting work anyway, but it’s worth double checking. 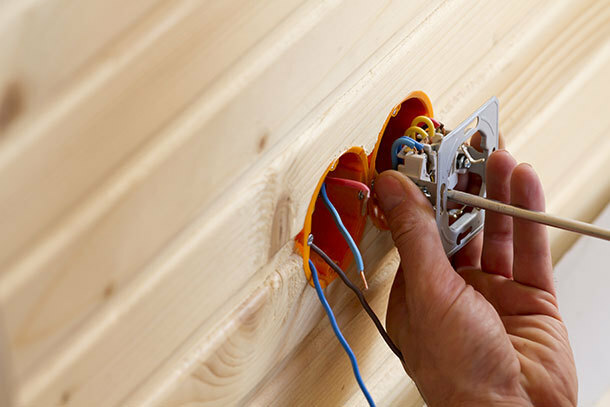 Your electrician will need to ensure there’s a spare circuit on the fuseboard in your house for the new outdoor installation. If there isn’t, you may need to install a bigger one. This could be a good option if your fuseboard is outdated and needs replacing to bring it up to current regulations. See our article on electrical safety tips in the home for more details. Any new installation must be protected by a residual-current device (RCD). Andy calls these a ‘better safe than sorry’ switch. An RCD’s purpose is to trip, interrupting the flow of electricity, if there is a problem with the circuit, potentially preventing injury or even death. It can also be a good idea to install an isolator, to separate the external supply from the electrics in the rest of the house. That way, if there’s a problem with the electrics in your shed, it won’t affect the supply in the house. Your electrician will need to run a cable from your house to the shed or outbuilding. Depending on the distance involved, and personal preference to some degree, the cable will either run overhead, or underground in a steel-wire armoured cable (a cable with a hard outer shell). Any cables run underground should be deeper than 300mm to avoid inadvertently piercing them while gardening. You can run armoured cables along flower beds – it’s safe as long as you can see it - but it’s not always the prettiest option. The precise cost of an installation will depend on the appliances or amenities being installed, the distance of the outbuilding from the house, and whether or not you need to replace the fuseboard. Andy estimates that you will need to pay at least £600 for an installation, which will probably take around two days to complete. Your electrician will provide you with an electrical-installation test certificate on completion of the job and register the works with your local Building Control. This certifies that the installation has been carried out to the appropriate safety standards and is in line with the relevant building regulations. If you want to install a washing machine, sink or shower room in your garage or shed, Which? Trusted Traders has endorsed plumbers in your area that can design and build the system you need. We spoke to Mark Purssell of AM Plumbing in Hertfordshire to find out what’s involved. 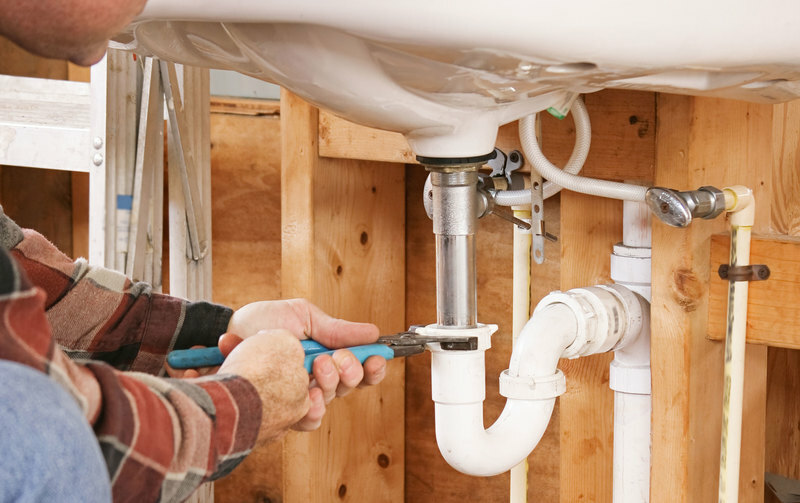 If you want to plumb in appliances or amenities, your plumber will need to create a system for the water to flow in and out, with two separate sets of pipes. One brings fresh water into the building, and the other removes the waste (grey) water. Your plumber will need to find a mains connection in your house to source the cold water, such as by the kitchen tap. The new pipework has to be buried a minimum of 750mm underground. This can be either under floorboards or, if your outbuilding is at any distance from the house, you will need a builder to construct a small trench to lay the pipes. Although this sounds daunting, it’s not necessarily a big job – it can be done with narrow spades, particularly if the builder is digging through earth rather than concrete. Next your plumber needs to identify a way to remove the waste water. If there’s an existing soil drain point (it must be a soil drain, not a rainwater drain) a builder can add a connection and bring a stub soil stack into the outbuilding (as below). If this isn’t an option, you can use a device called a pump station (as below) to move the water from the utilities in the outbuilding to an outside drain. Most plumbing systems work by ensuring that water flows downhill but you’ll need more force to propel water horizontally, along the length of a garden. Typically a pump station will be around 0.5 metres high and 0.5 metres wide. The longer the pipe run, the bigger the pump and the wider the diameter of the pipework you’ll require. 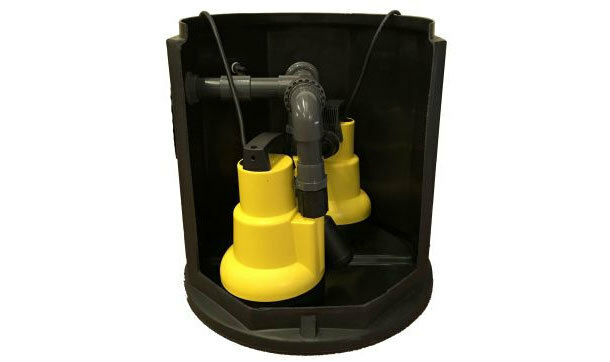 Pump stations start at about £400. Your plumber will need to create maintenance points for the pipework, in case it gets blocked. You also need a stop tap in your shed or outbuilding to isolate the water source, for future repairs or maintenance. It’s possible to install small hot-water heaters under a sink to provide around 7-10 litres of hot water. These are not subject to the same regulations as boilers, as they have a much smaller capacity. Appliances such as washing machines, dishwashers and electric showers will generate their own hot water. If you want to install a toilet, you will need a macerator to reduce any waste to a pulp, plus access to a soil pipe to take any waste to the main sewer. 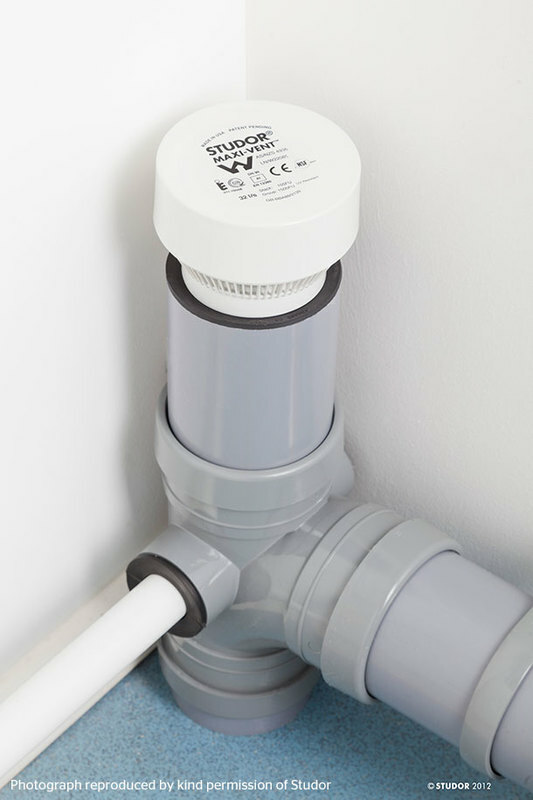 If there is no nearby soil drain, your plumber can fit a pump station that has a foul water or sewage pump (that will cope with solids) fitted rather than a grey-water pump. If you wanted a sink as well, you wouldn’t necessarily need a separate grey-water pipe, as the grey water could run into the soil pipe. Mark estimates that installing a cold-water source and plumbing in a sink or an appliance, would take around three days and cost around £500+, if the outhouse was attached to the main building. For a building at a distance from the main water source, which requires a trench for the pipework, the work would take about a week and cost £1,500+. Any complications, such as having to dig through concrete, would add to the time and the cost. Adding a toilet into the installation would raise the cost to £2,000+ because of the additional pipework and connections required. If there’s access to a nearby drain, to allow a straightforward connection to the mains, this could reduce the costs. Your plumber will be able to discuss the options with you after assessing the site. If you’re planning to change the use of your outbuilding, particularly if you’re going to use it as a bedroom or install fixed plumbing, it’s possible you will need planning permission. The regulations suggest that any incidental use, such as for a hobby or something you wouldn’t otherwise do in your house, will not require permission. However, sleeping, showering, cooking or other activities that would normally be carried out in your home could require permission. Discuss any proposed changes with your trader, who will be able to advise you whether or not to contact the planning department, as well as ensuring that all development stays within the required building regulations.